SFD: Hey Adam! Its been awhile. Thanks for taking the time to chat with us. How've you been? ADAM: I've been good. I've been exceedingly busy with life and work lately, which has made things exciting. SFD: I would like to first ask, how did you get this job in the first place? ADAM: A dash of luck and a little networking. I've been a member of the fighting game community for over 10 years now and thus had made a lot of contacts through it. 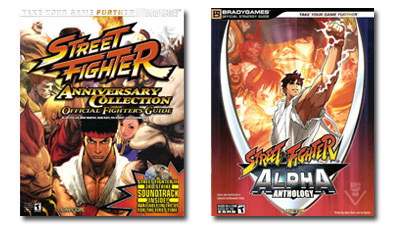 Brady Games was looking for writers to be involved with the Street Fighter Anniversary collection guide, so they started contacting long time members in the community like James Chen. James eventually pointed them my direction. I showed them a few combo videos I did for various Street Fighter games, which they were really impressed with. They ended up making me and Mark Rogoyski the lead writers for the 3rd Strike section of the guide. That was my first guide, which lead into other projects. SFD: It must have been fun! ADAM: It was really exciting at the time. SFD: On average, how long does it take for you to write a Stretegy Guide? Lets say, the Anniversary Collection Guide for example. ADAM: It depends on a lot of factors, but it usually ends up being anything from two weeks to a couple of months. Our section of the Anniversary Collection Guide took about 2 weeks to finish up. ADAM: Certainly there's too many to name all of them, but the editor, title manager, book designer, and production designers are all very involved with the process. We usually work closely with the editor and book designer to figured out the layout and look for each guide. 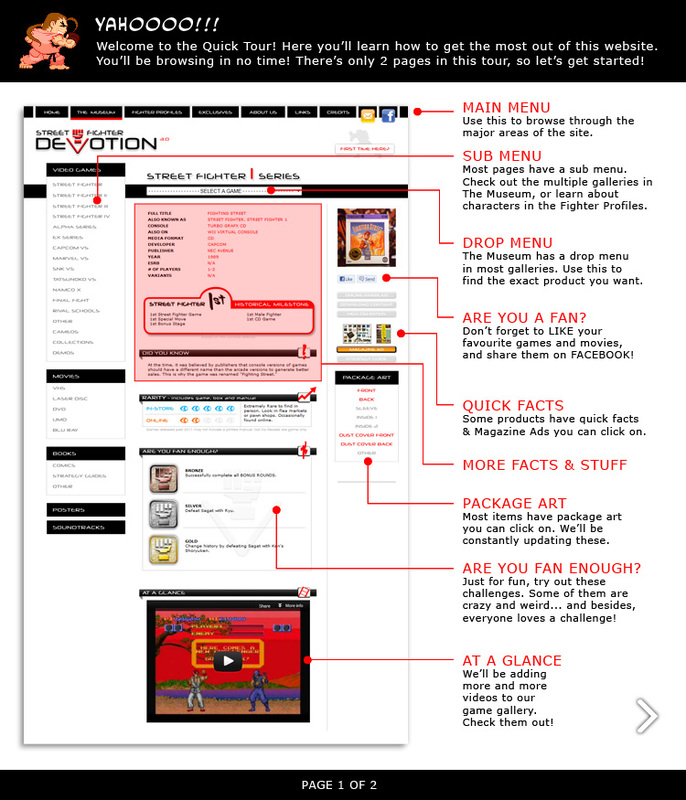 SFD: What are some of the problems that normally arise when making a Street Fighter strategy guide? ADAM: Organizing such a vast amount of information in a way that's easy to absorb is probably the hardest aspect of the process. As the Street Fighter fans already know, there's a lot of information to cover. Excluding the various complex systems present in most Street Fighter games, the strategy that's built upon those system by players are equally deep. It's our job to try and present the information in a way that anyone can understand, even newcomers, and that's pretty difficult to do. SFD: Can you describe a little about the process? ADAM: The earliest stages of the process vary depending on whether the game is brand new or not. 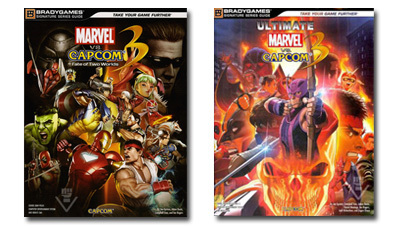 Some of the fighting game guides I've written were done for games that have previously existed for a several years. In those cases I usually jump straight into writing, as there is already a fairly large knowledge base to work with. In cases where the game is new, I usually do a lot of research before I start writing. Aside from browsing forums for information and looking over any data the game developer has sent me, I usually just play a LOT of training mode. I have a good understanding of what to look for in fighting games (strategy wise), so experimentation in a good environment is really helpful. After I get a feel for the majority of the characters present, I simply try playing them against my co-author to see what works and what doesn't. When I feel I have a good understanding of the way a character works, I start writing. Writing itself is a long process. We usually make several passes over our documents to ensure the information is correct. When we're happy with what we have, we send the text off to the editor, who also looks over the writing. From there, we usually start taking screen shots for the guide, which is often the last thing we do before the guide goes to print. SFD: So you play a lot of training mode and research online a lot. What other sources have you reached out to? I can imagine you having a stack of Street Fighter games in front of you at work! ADAM: I certainly do, I have every version of Street Fighter to date in front of me at all times. In regards to other resources, there have been a few occasions where I've been able to contact friends living in Japan to obtain data and information from the Japanese player base. The Japanese community usually has an unbelievable amount of information readily available very early on. Every version of Street Fighter to date, that's what I like to hear! Hehe. ADAM: Haha. I'd bet I could smoke you guys, but you never know. SFD: I'll remember that. As a guru of Street Fighter game mechanics... who do you think are the top-tier characters in Alpha 3, 3rd Strike and Super Street Fighter II Turbo? 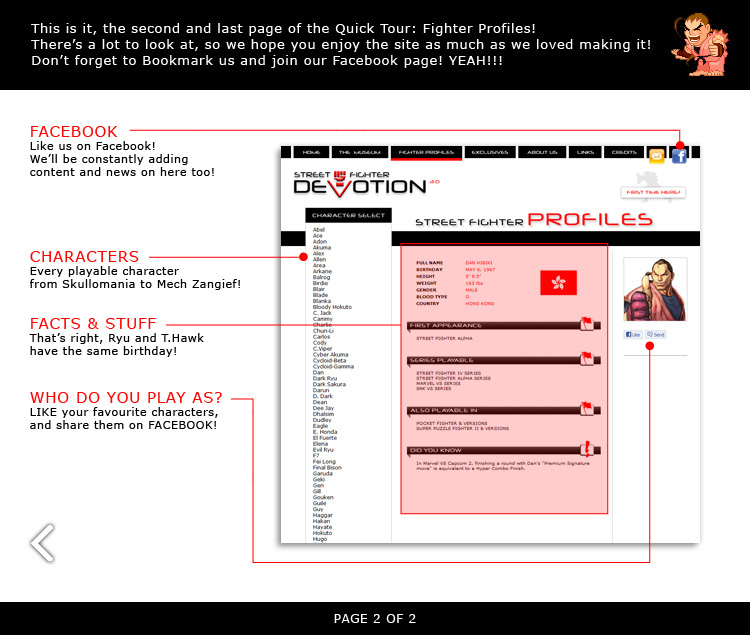 ADAM: In Alpha 3, it's generally believed that V-Ism Zangief, Sakura, and Akuma are the strongest characters. In my opinion, Sakura is the most flexible of the bunch. In 3rd Strike Yun, Ken and Chun-li are considered the strongest, Yun being the better of the three. Finally, I'd have to go with Balrog and Old Sagat as the strongest in Super Turbo. You can make an argument for Vega though, who's believed to be extremely strong by the Japanese player base. SFD: Awesome man. So you worked on a lot of Street Fighter books: Anniversary Collection, Alpha Anthology, SVC Chaos, Capcom Fighting Evolution and Final Fight Streetwise. Did I miss anything? Other than Street Fighter books, what were some other Strategy Guides you worked on? ADAM: In regards to other fighting games, I was involved with the Tekken 5, Soul Calibur 3 and Virtua Fighter 5 guides. I also occasionally work in other genres, like Role Playing Games. For instance, I've written guides for Tales of the Abyss, Castlevania: Portrait of Ruin, and Valkyrie Profile: Silmeria. I recently just finished working on the Final Fantasy Tactics: The War of the Lions guide. SFD: Heh, you're all over the place! SFD: Back to Street Fighter though, what is your all-time favourite Street Fighter game? ADAM: That's always a hard question for me, it's usually a three way tie between SF Alpha 2, 3rd Strike, and Super Turbo. I would have to say that Alpha 2 will always have a special place in my heart though. It was the first fighting game that I really started to play competitively. So I guess it wins as my favorite, haha. SFD: Then thats the game I'm gonna school you in! ADAM: Haha, very fair, I look forward to it. SFD: What other titles did you want to write a guide for but couldn't? And what were the reasons? ADAM: I wish I had been in this industry around the time Capcom vs. SNK 2 was released. I love the game and have always wanted to be involved with writing a guide for it. Unfortunately, it came out just before I started writing video game guides, so I wasn't involved with the project. I also wanted to write a guide for Castlevania: Dawn of Sorrow, but a different company ended up obtaining the rights for that project. SFD: Any advice for aspiring Street Fighter authors / GameFaqs members? ADAM: Getting into the video game strategy guide industry is extremely difficult. It's a small industry with very few windows for entry. Good traits to have are the ability to dissect the way games work in a logical manner, while also being able to record that information in a way that's understandable. Though a good knowledge of technical writing really helps, it's very important to show that you can break down games in manner that enables you to exploit game design weaknesses, which ultimately helps you write a good guide. SFD: Adam, thank you again for spending your time with us here at Street Fighter Devotion. We look forward to seeing more of your work! ADAM: Thanks, and you're very welcome! Good luck with your future endeavors! SFD: You too bud. Keep in touch.